This wine is a rich intense golden color with aromas of super rich ripe pineapple, tropical fruits and loads of *botrytis. It is thick in the mouth with ultra-sweet syrupy flavors of ripe pineapple and pears. It has a velvety and balanced finished with such a great acid foundation that the sweetness is fabulous. I paired it with some bleu cheese and pecorino and fresh pair slices which was a great pairing. * Botrytis Cinerea is a favorable mold that--when conditions are favorable--forms on the grapes of Sauternes and other wines (German Rieslings and others) that concentrates the sugars in the fruit making a great wine. Raise a glass to a classic desert wine. I never heard of this wine before but found it on close out for $6. It is a Washington State wine from Columbia Valley and with their reputation for solid wines, I grabbed it. It is a very pale golden wine with varietal aromas on the front but unique aromas behind. It is a sweet bouquet with tropical fruit hints and lemon. Very nice! In the mouth this wine is solidly acidic in all the best ways (a good food wine) off dry with flavors of cream and lemons and maybe tart green apples. Finish is quite nice and at the price I paid for it is a super bargain. At four years old, this wine should be on its way out or gone but it is still very youthful and vibrant. I suspect this wine probably runs normally around the $10 price point. If you're a fan of S. Blanc, this is worth hunting down. Raise a glass! I grabbed this wine from the famed vintage of 2005 Bordeaux because it was a mere $9. It has plenty of color with depth and a bouquet that is vibrant with black cherry, a little spice and touches of sweetness with dark fruit. In the mouth this wine is tannic with tight fruit and bread. Lots of potential in this 65% Merlot 20% Cabernet Sauvignon and15% Cabernet Franc; your basic Bordeaux blend. This wine needs to be decanted; I breathed it only for a a half hour or so and that was not enough. There is now a tart, cherry bouquet and the tannins relax somewhat. Fruit is still stingy but it is there. This is actually a very nice wine at this price point and a typical old world wine in all the great ways. This is a far superior wine than what you normally get for this price from any country. Your novice wine drinker probably would not like this wine very much thinking it is not very "fruity." But I will buy several more bottles of this and put some age on it. This inexpensive bottle of 05 Bordeaux will age some! Raise a glass to a superior vintage and what promises to be a vintage with some great values! Trapiche--better known for its oak cask Malbec ($10) is a value wine with solid structure and flavor. This wine however is NOT. You only save a couple bucks on this black cherry/cherry aromas with a sweet palate, light cherry flavors but the wine just is blah. Pass it up! Gentle aromas of Sangiovese and alcohol; Tart in the mouth--too tart with bready notes, some tannic heft. Either the wine is closed or just thin; After breathing, it is still tart and thinly textured with Sangiovese throughout. Still, a good food wine! Raise a glass with some food--duh. While this wine is enjoyable now, I don't think it has fully come together. I was honestly a bit disappointed with this bottle. If you have some, I'd suggest a few more years in the cellar. If you must open it now, try decanting several hours before you drink it. Also, be smart about the food pairing. A rich cream sauce or a heavy steak might overwhelm this wine. It has some subtleties that will show better with slightly lighter fare. A typical price for this wine is $55. We paid $120 recently at a restaurant. Raise a glass! I was treated to a bottle of this wine by good friends who grew up in Washington state. On a recent trip back home, they sampled some Soos Creek wines and wanted to share the love back here on the East Coast. We decanted the wine for a small gathering at Easter, but it probably didn't even need it. Although youthful and fresh, it has velvety tannins and is richly textured. The flavors integrate nicely as the finish tapers away. This wine costs around $30-$35 and is worth the treat. Also, see PB's review of this wine below. Raise a glass! This Alsatian varietal was served to me by (NW) on a recent visit to his house in the glass and I asked him, "What is it." As I would do to him, he replied, "You tell me." It was a pale yellow with a fantastic bouquet of sweet floral, spice and slight cream peach/pear and pineapple notes. In the mouth it was like tasting liquid flowers, off dry with nasturtium blossom and rose petal flavors, lively acid and slightly spritzig (German for sparkle) meaning it had a slight effervescence to it. I was taken by this wine and said, "This has to be nothing other than a Vin D'Alsace Gewurztraminer probably 2-3 years old." Okay, that's not exactly what I said. Actually I thought about it and if I would have listened to my nose and palate it should have been obvious but I listened to my head and thought it may have been a German Riesling of the 05 vintage which is supposed to be extraordinary. Hey you can't win them all but this wine is a winner and at $22 it is an elegant, fabulous treat and a great example of the grape. So raise a glass and say, "AHHHHHHHH..."
At the famed Timbalo Easter celebration at (NW's) some folks brought this Washington state wine made of 50% Cabernet Franc and Cabernet Sauvignon. The wine is a dark black cherry hue with cocoa and ripe plums in the nose with some leather in the background. In the mouth the wine presents a cocoa front with solid dark "real" fruit--as opposed to the petri dish, manufactured flavors so common in many new world wines these days. There is an intensity that is seductive. New world yet not a "fruit bomb" with structure and a finish that is genuine. Price point makes a big difference more often than not when it comes to new world wines. This wine runs around the $35 price point I figure and is real wine; tasty and a very special treat. Thanks RP's! I eased the fragile cork out of the neck but the bottom 5th of the cork stayed behind while the rest of the cork basically disintegrated. I pushed the remaining cork into the bottle (a personal defeat and blow to my cork pulling pride) and took the first pour and small whiff. I tried to keep a poker face but I couldn't help screwing up my nose as toluene (airplane glue) aromas hit my nose. No need to go any further but this was education now. On the palate it was sweet with an obscene and offensive taste that is hard to describe. Time to throw in the towel and declare it spoiled and undrinkable--you think??? But here is the marvel of wine--(NW) announced the wine before we ate dinner so the anticipation of "what might be" was prevalent. It's kind of like why some people play the lottery; the odds are absurdly against you winning and yet there is that remote possibility and that makes it worthwhile. The wine was a bomb but for $30, it was cheap entertainment and an enhancer of conviviality to boot! Raise a glass to the explorations of the world of wine! This Tuscan "special wine" was opened by friends of (NW's) and ours at a recent festival of Timbalo celebrating the resurrection of our Lord. Since we have all bedded down at this celebrated birth place of Monna Lisa in the heart of Tuscany, breaking out this personally imported treat was awesome. The majesty of wine is more than just what comes out of the bottle but what the bottle of wine creates or recreates in the soul of the imbiber. This bottle brought back memories of Italy, wowing dinners, centuries old cathedrals, masterpieces in art and sights found usually only in a book now etched in the experience of the memories of the real thing. The wine has peaked with bricking throughout right to the rim. 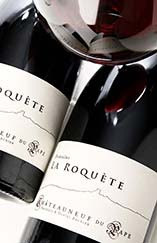 The bouquet is nuanced with slight touches of plum with vegetal notes and hints of wood. The palate reveals sour cherry with pomegranate notes. The foundation is made in the sweeter style, is fully integrated, balanced, and uncomplicated in this late stage of its life. But the best part of this wine was the willingness of friends to share a cherished bottle that once opened is gone. But the lingering finish of great times remains. Thanks R's! Raise a glass! On the Chardonnay style spectrum, this wine sits in the middle. It has a very nice texture and underlying richness, but it's not overly oaked. The flavors are balanced and provide a perfect compliment to light fare. We enjoyed seafood in The Bahamas while nursing a bottle of this wine. It retails for $30 or so. Raise a glass! Something on the finish basically ruins the wine. I can't tell exactly what the flaw is, but I can taste something a little off. I don't think it was "just a bad bottle" because there was no evidence of anything foul on the nose. It's a shame, actually, that this doesn't taste better. 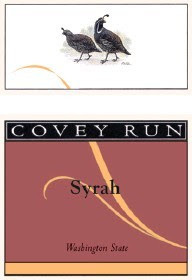 Covey Run makes some really good value wines in Washington State and I've especially enjoyed their whites. This bottle costs a modest $7-8, but take a pass. And raise a different glass! This is a good wine. It has nice balance and flavors, and delivers some of the rich fruit and spice expected in good Zinfandel. I paid $14 for the bottle, and have seen it priced from $12 to $16. For a dependable Zin- raise a glass! This sale wine cost me $15 and is the best value port I have had in years. It is an opaque cherry red with good color, and sweet ripe prunes with traces of ripe cherry, faint cocoa notes but alcohol tends to be a bit pushy on the nose. In the mouth this wine is thick and velvety with sweet licorice and a chocolate rear. The finish just lingers on and on. This is worth hunting down. I think the non-sale price is around $20; either way this is a nice value. Raise a glass of sweet velvet! I am a big Grenache fan but his 75% Garnacha (the Spanish name for Grenache) and 25% Tempranillo is rather blah. It is a nice black cherry hue with black berry and plum aromas but the palate is tight, harsh and thin. With some air it is still unremarkable and worth passing up. This is the second time I bought a Barsao with a "best buy" kind of hype and have found it lacking. Even at the $10 price point it is worth passing up. Raise a glass of something else. Concha Y Toro, the solid Chilean producer of value wines makes this premium red (Cabernet Sauvignon) that is solid garnet to the rim. It is somewhat closed on opening but shows elegant pipe tobacco and leather fragrances. In the mouth this wine is elegant with silky tannins and slight licorice notes, black cherry fruit and smoke. This wine is awesome. If you wonder what a "round" wine is, this is it! Everything is just right, balanced, fully integrated and together. Always a great value, this wine at $40 is a bargain for what you get. Raise a glass and "Thanks (NW)!" (NW) served up two distinct wines just to see what we would do with them. One was a 2001, the other a 2004. It was obvious just by observation which was which. The 01 was already showing its age with amber notes at the rim and the bouquet was musty with some cherry fruit trying to break through the funkiness of this old wine. The palate was soft and peppery with wood, light fruit and a quick finish. The 04 was classic Sangiovese aromas with floral notes of rose blossoms and sweet herbal fruit. In the mouth though this wine was disappointing being austere and tannic and thin; not much there. The 01 was Tormaresco; a blend of 70% Negroamoro and 30% Cabernet Sauvignon. The 04 was Monte Antico a Sangiovese blend. Both wines are in the $10 range and both were worth passing up. Raise a glass of something better but this was still fun and educational! Visiting (NW's) we made our typical wine hunt trip to a wine store and he immediately grabbed this Russian River Pinot Noir. He made some commendatory comment about it and said something like, "Once you've had good Pinot Noir, there's nothing like it." I haven't had any good Pinot Noirs because I couldn't afford them. I had my wife pick one up on a visit out of state asking her to buy whatever the store recommended to her in the $40 range. She came home with some fairly well known Burgundy and it was awful. So I was looking forward to a Pinot which already had been established as superior. This wine is garnet to the rim with a bouquet of unmistakable strawberry and menthol or spruce with milk chocolate notes. In the mouth it was absolutely silky with fruity layers and eucalyptus finishing with lovely elegant strawberry flavors lingering. My description doesn't do this wine justice. It was positively spoiling and ruining my palate for the inexpensive Pinot's I am used to. Oh well; I'll survive. Raise a glass and splurge sometime on a "good" Pinot! Palate: Vanilla is prominent as is a spritly dance of strong acid and pucker-inducing tannins. Stony. Overall: After a nice couple called down and waited for about 20 minutes or more for a new bottle of red wine, this was delivered to the club lounge. I thought I'd better at least have a taste and blog the findings. This 2005 consists mostly of the Aragonez varietal (my first taste) and is from Sanguinhal in the Estremadura region of Portugal. It shows a quite youthful purple in the glass. The wine is very enjoyable. It is balanced though strong in both the acid and tannin area. The clear vanilla flavors bring out a likableness that is immediate. It is the inviting grin of an unpretentious yet obstreperous stranger who wants nothing more than to be your friend. After a sample, it is hard to say no. overall: Meh. Not a big Tawny. It lacks. It mistakes barrenness for elegance and simplicity for sublimeness. Not my favorite. It has more moderate red wine feel/characteristics than port characteristics. Still, I cannot complain. After all, I'm sampling Port in Portugal. I'm in Lisbon on business and even this is a treat. Raise a glass to Portugal! Here's a great value Chateauneuf du Pape! I bought this bottle for $22 and can't wait to go find some more. Chateauneuf is a favorite of mine, and this one delivers the goods at a bargain price. Most Chateauneufs are more expensive and I often spend around $50 for a good bottle. The outstanding thing about this wine is the thick, velvety texture that carries through to a really long finish. It has great layers on the finish, with a variety of flavors that meld together. Also see PB's review of this wine below. I'm also looking out for the 2005 vintage from this producer as it has the potential to be even better at similar prices. Raise a glass! There are a lot of good, crisp white wines out of Italy. This one is from the Alto Adige region which is fast becoming a world class wine producing region in Northeast Italy. It has a nice a balance of fruit flavors and mineral content, accented by white pepper. Grab it to go with a basic seafood dish or lemon chicken. You should find this priced around $13 or so. Raise a glass! Classic, full-bodied Zinfandel! This wine tastes great and has the rich texture and long finish of a well made wine. 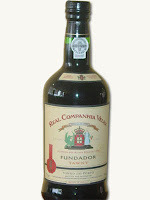 Rancho Zabaco makes several Zinfandels, and this one is a fairly priced effort at around $14. Also see PB's review of this wine dated February 13, 2008. Raise a glass! This is the second wine sent to us from San Antonio Winery for sampling. Like the Cab they sent and previously reviewed, this is a Paso Robles wine as well. The wine is nearly clear with a nice sweet pear bouquet. In the mouth it is sweet but actually off dry with solid construction. Initially I couldn't tell if this was a Chenin Blanc or Sauvignon Blanc but as it warmed up, (it was too cold) it began to show some grassy S.B. notes and touches of citrus here and there with a grapefruit rind finish. This wine drank really easily and chilled down on a porch on a hot summer day, this would be a great guzzling white. At $12, it is well made and characteristic of the grape. Raise a glass to be sure! (NW) broke out this Chateauneuf du Pape which is primarily a GSM blend(Grenache, Syrah, Mourvedre). The hue is a light medium red with slight bricking (amber notes) at the rim. This wine has sweet aromas of fruity tobacco with sheets of nuanced fruit and a periodic strip of sweet fresh strawberry jam. Wonderful and absolutely peak! It is silky on the palate--almost thick--with strawberry jam flavors that flash and fade back and forth with light pepper notes. After a moment or two, cinnamon flashes appear and disappear with cinnamon spice cake yielding to a late anise layer. Phew! This is a lot of wine for the price. ($22) What a treat and a value! Raise a glass of plenty of these Rhones! This wine from Paso Robles has a nice garnet hue with a rich ripe blackberry/plum bouquet with sweet dark fruit. In the mouth the wine feels a bit thin texturely speaking yet is structured well even if tight, hot and young. There are notes of sweet dark chocolate with a lingering smoky finish. The wine was right out of (NW's) cellar which was quite cold. After warming and breathing, the wine relaxes and the dark chocolate turns to a milk chocolate. This is made in the popular style of big fruit forthright flavors but is is still young and needs a year or two longer to come around. It is what you would expect of a wine at this price point ($14) but could a hold a surprise with some more time. Raise a glass to patient cellaring! In Chicago for a sad occassion Billy of this blog and myself took advantage of being in the "Windy city" to check out the 2005 Bordeaux at "Binny's Beverage Depot." Arguably being touted as the vintage of a lifetime, Binny's supply of Bordeaux of this vintage was scarce. I grabbed a stellar 04 that I had tasted previously and a couple of lower tier 05's to take back with me to Maine. But this was a $10 wine and I asked the staff at Binny's if this was a wine of the famed Michelle Roland. The Binny's staff, which is always wonderfully helpful--exuding gobs of wine knoweldge without being pretentious, researched my question while I browsed and didn't seem to think so. For $10, there wasn't anything to lose. This wine--Merlot and Cabernet Sauvignon blend, is a staunch garnet hue to the rim with a fabulous bouquet of light cherry fruit with beautiful spice and anise notes predominating after a couple hours of decanting. Really nice! In the mouth this bargain wine feels a bit thin and a mite tannic but it is fruity with cherries, some layering of licorice/anise and structured soundly and poised for a couple years of ageing. It is just young and for the price is a definite value! Two more years in the bottle and this wine will be beautiful presaging what is to be expected of the greater 05 Bordeaux's. So buy those $10 Bordeaux's you find from this once in a lifetime vintage and experiment. I doubt you will be dissappointed too often. Raise a case today and tomorrow! Palate: fine structure, acids are a bit weaker than I'd like but not out of balance with the tannic forefront. Even mouth feel. Not fat (expected) trim but not skeletal. Finish: stony graphite and vanilla'd cherry make a comeback at the end for a pleasing finale. Overall, this is my first taste of any of the 2005 Bordeaux wines. The 2005's are purported to be amazing across the board. This bottle ran PB and I about $10 at a midwestern wine shop. For the price it is well worth the purchase. There were no qualms about readiness to open this wine though many of the 2005 Bordeauxs will need some longer periods in the cellar. This is a 67% Merlot and 33% Merlot blend and, according to the label it was aged in 100% new French oak barrels. For $10 you really cannot go wrong here. Do youself a favor and get a nice 2005 Bordeaux to lay down and pick up a bottle of this 2005 Chateau Roland La Garde (Cotes de Blaye) to open and enjoy now. This wine is Mendoza blend of Chenin Blanc (60%) and Chardonnay (40%) but it's awkward. The "Side Show" wines with the odd labels, names, graphics and text have tended toward decent value wines all in the $9 range with their sourced grapes from here, there and everywhere. This is my first white "Sideshow" wine I think and it is a bit strange. It fails as a Chenin and a Chardonnay with a unique bouquet of sweet fruit, celery, cream notes and something that I can only describe as a chemically plastic sort of odor. Lt gold in color with surprisingly big bouquet of sweet pears and pronounced vanilla. In the mouth this wine is again surprisingly tasty with big citrus back bone, off dry and fruity. A little contrived (think petri dish) but for $4--that's right, I paid $12 for three bottles, it is a drinkable wine. For that price, raise a couple glasses! Great wine! You know you have something special when the wine seems to evolve in the glass and actually gets better and better throughout the evening. This was the case at one of the top new restaurants in Boston where we enjoyed a bottle. The restaurant apparently nabbed several cases of this beautiful wine before it sold out (small production of only 650 cases). Upon first opening, the wine showed ripe blackberry. As it evolved in the glass, more and more dark flavors of chocolate and rich mocha came through. It was worth the money at $150 (the retail price in a store is around $75)- much better than many other Napa Cabs in this price range. Not bad, really! You'll find this wine next to the jugs and often in a magnum format. If you see a 750mL bottle, it will probably be around $7. I wouldn't normally grab this over other value wines I'm familiar with, but it was my only option. I was on an Amtrak train and this was the red wine available. After a couple of sips, I realized it's not a bad wine. It has some of the classic flavors of a Chilean Cab (produced by Vinedos Emiliana) and tastes well made for the money. Quite frankly, I was pleasantly surpised. Raise a glass!